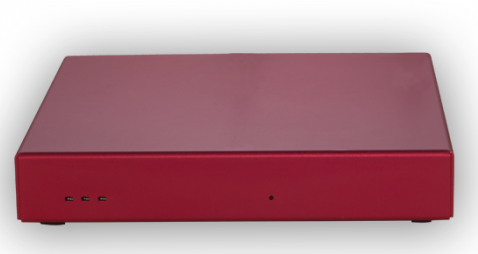 Our Icinga-based network monitoring solution NetEye 4 can also be supplied in a small form factor appliance. Industrial PCs are ubiquitous these days and can be found everywhere in all sorts of applications. The one we chose is the APU2 from Swiss manufacturer PC Engines. The APU2 features an AMD quad core 64-bit CPU, 4 GB of DRAM, and 3 Intel 1Gbps network cards. For storage there is a bootable 15 GB m-SATA SSD card, and 2 USB ports complete the set of input/output features. The appliance is fanless and thus completely silent. The serial console can be accessed through the serial port with a null-modem cable at 15200 baud. 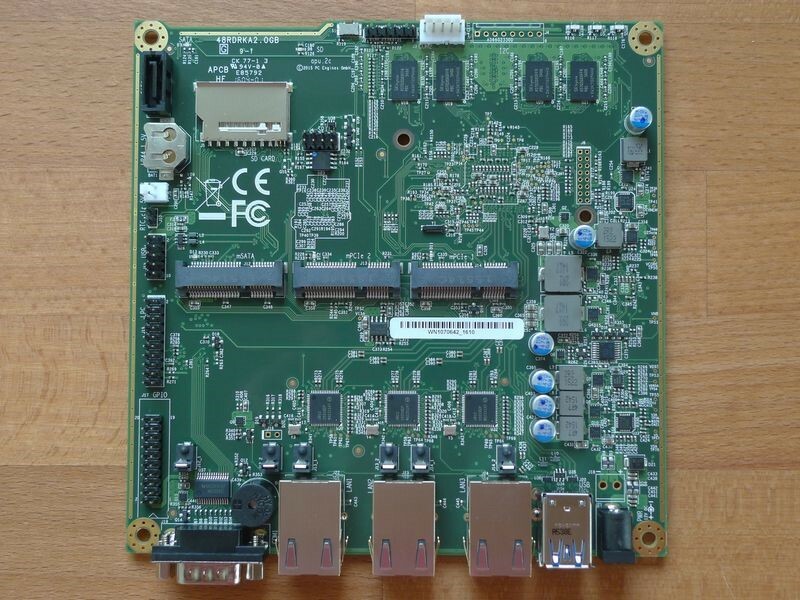 It also has various expansion slots, including 2 for mini PCI express (one with a SIM socket). Cooling the CPU is very efficient thanks to a 3 mm aluminum heat spreader. Here you can see what the board and chassis look like. This solution has been chosen for a large retail chain with over 50 outlets across Italy. There will be a master NetEye instance installed on a VM at one of the major worldwide cloud service providers, and an appliance at every customer’s branch office. Master and satellites will be part of the same Icinga cluster, and will monitor their internet connection and related services. Since this architecture combines physical and virtual appliances in the cloud, it can be viewed as a hybrid solution. Providers of cloud services include Google Cloud, Microsoft Azure and Amazon Web Services: they all offer a wide range of services, including IaaS. Their VMs support Linux as an operating system and give customers the flexibility of virtualization for a wide range of computing solutions – including monitoring – by extending their datacenter off site. It allows them to speed up the deployment of new services in a highly reliable and cost-effective way. 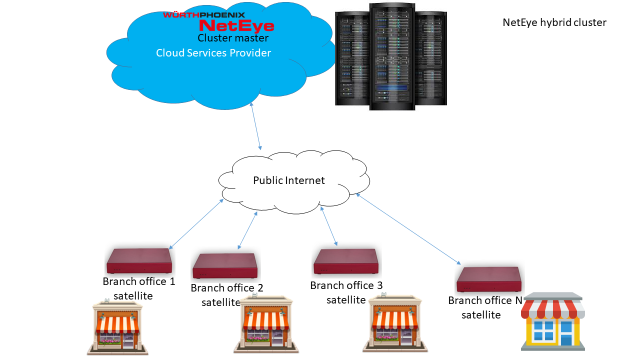 A full-fledged NetEye 4 virtual appliance will be installed in the cloud and configured in a cluster with the PC Engines physical appliances as satellites. The picture below illustrates this hybrid NetEye cluster architecture. We expect this solution to scale well beyond the 50 satellites in this particular deployment. The appliances will initially be used to make the remote site (branch) reachable from the central server. The primary objective is to monitor availability, latency and bandwidth for the remote sites. In a later phase, monitoring will be extended with real checks executed at the remote sites using the Icinga satellite software. The result of these checks will then be sent to the master in the cloud for processing. I’m an electronic engineer with over 25 years of experience in IT, automation and electronics. I am a Cisco and Juniper certified professional network engineer and I recently gained the Red Hat System Administration certification. At Wuerth Phoenix, I support our network monitoring solution NetEye. In my free time, I like to play with my two children, go hiking and swimming.